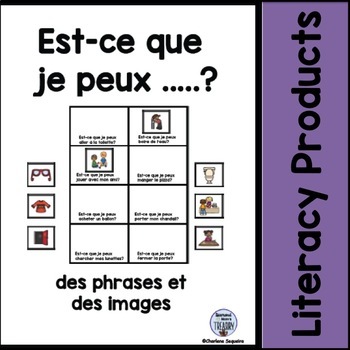 Included is a list of 15 questions that use the phrase “Est-ce que je peux_____?” An additional question has been added that is the student’s choice. 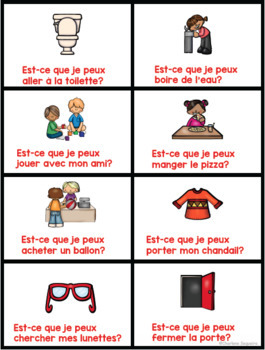 These questions can be used to practice speaking. 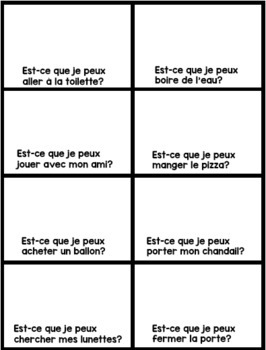 The same questions are then included in boxes. 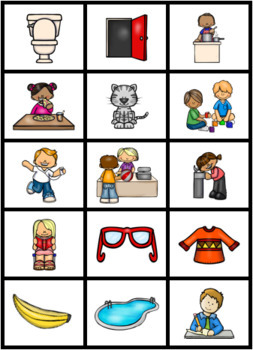 There is also a sheet of images that can be matched to the questions in the boxes. Students cut out the images and paste them in the correct boxes. This is an easy way to see if students understand what the questions mean.